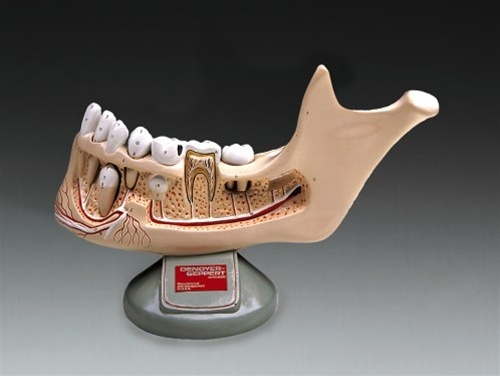 The outer portion of the jaw bone has been cut away exposing the roots of the teeth, their nerves and blood vessels. 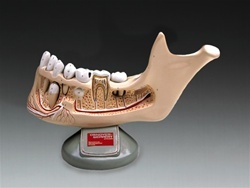 Four teeth can be extracted from the jaw: an incisor, premolar, molar, and developing canine. One molar has caries. Another is sectioned longitudinally revealing its enamel, dentine, cementum, and pulp.